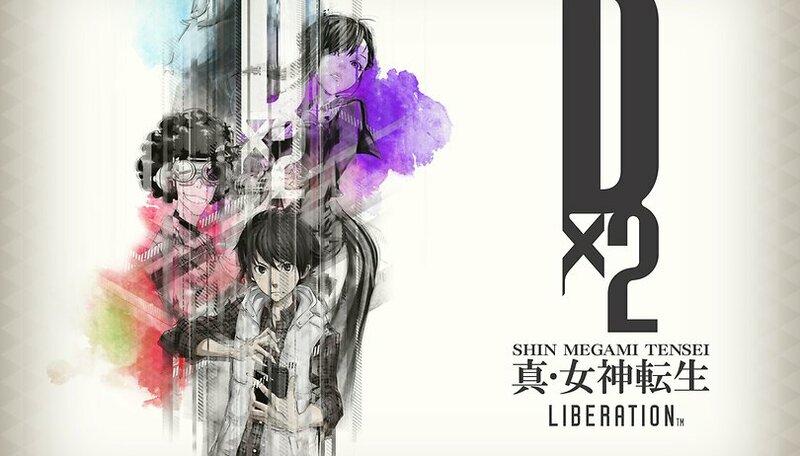 SEGA has just released the devilishly good mobile role-playing game Shin Megami Tensei Liberation Dx2 to the world. A smartphone-based iteration of the beloved Shin Megami Tensei JRPG series (which includes the popular Persona sub-series), originally developed by Atlus, the new game is now available to download on Google's Play Store and Apple's iOS App Store. Shin Megami Tensei Liberation Dx2 has already proved to be a smash hit in its native Japan, but now an English version of the game is available globally to audiences on both Android and iOS devices, ready to draw in new fans around the world with high quality 3D graphics in an anime-inspired world. Fans of the Shin Megami Tensei series will recognize familiar elements such as the press-turn combat system. Demons (actually any kind of mythological being, including famous gods from European history such as Thor) can be conversed with through negotiations, and demons can be evolved into more powerful forms by combining them through a fusion system. Aside from the main story, there are dungeon crawling challenges known as “Aura Gate” missions. PvP is also present via a “Dx2 Duel” mode, where you can battle your friends and rivals around the world with your demon team. You can even show off your demon collection in the real world and pose with them in your town using AR. All for free? Kind of. Shin Megami Tensei Liberation Dx2 will be free-to-play with various progression systems, resources and a 'gacha' system of random rewards that will encourage players to either spend money for fast access to rewards, or repetitively 'grind' the resources they need to upgrade. Feedback from Western users who participated in the closed beta largely state that the game is fair with rewards, but that was just a test build. We'll reserve our judgement until we've spent some time with the release version to see if it makes the cut for our game recommendations of the month. The Shin Megami Tensei franchise and sister series Persona, have brought us some of the best Japanese style RPGs ever, so let's hope that Liberation Dx2 shows itself to be a worthy member of the family. Have you played the Shin Megami Tensei games? What do you think of the new smartphone game?